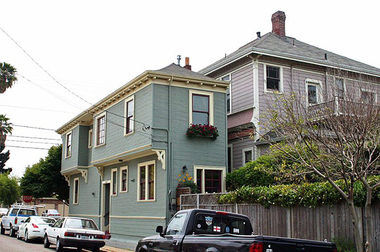 Take a look at some of the most obnoxious spite homes below. Fences wouldn’t make a difference in the dispute, except they would be a cheaper alternative! Located on a spit of land in Alameda, Calif., a city between Oakland and San Francisco, this 10-feet deep home was erected around the early 1900s by Charles Froling, whose dreams of building a home were dashed when the city seized the majority of the land to make way for a street. 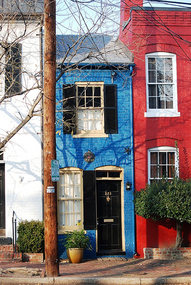 At (an imposing) 325 square feet, this 1830 Alexandria, Va., home was built by John Hollensbury, owner of the neighboring properties pictured above, to prevent horse-drawn carriages and ne’er-do-wells from accessing the alley between the homes. 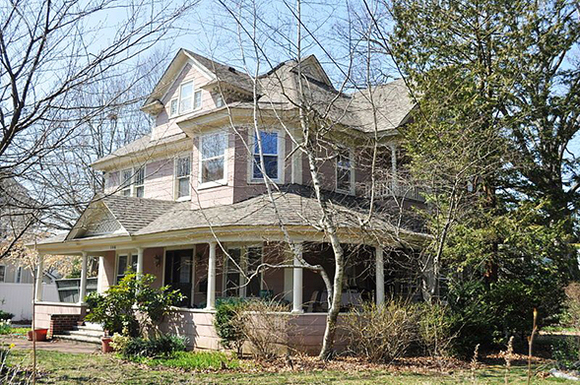 Constructed in the 1800s by developer John Randall, this Long Island, N.Y, home, located in Freeport, sits on a triangular plot of land outside the parameters of a grid set by a rival builder. 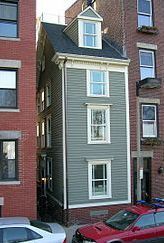 Situated in the North End of Boston, Mass., this post-Civil War era home has more than one origin story. Locals say the entry-less home, 10.4 feet at its widest, was built by a soldier left with a sliver of land after his brother took the lion’s share of their father’s inheritance. 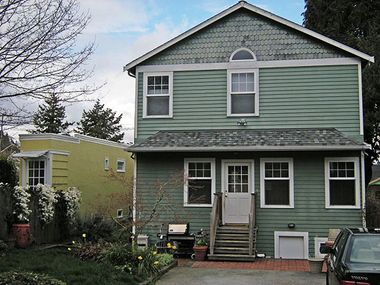 Constructed in 1925, this 860-square-foot home in Seattle, Wash., is shaped like a slice of pie. Depending on who you ask, the home may have been built by an insulted land owner after a low-ball offer from the neighbor, or by a jilted divorcée left with a slice of land by her ex-husband. ….. Just some interesting fun real facts about real estate!